At Mt. Harrison Audiology, we are committed to providing top quality hearing care to all of our patients. That’s why we offer a complimentary communication consultation to fully assess your hearing loss concerns and determine the best course of action for your hearing health. After your initial consultation, we will perform a thorough evaluation, including hearing tests, that will focus on specific hearing functions and provide our experts a clearer picture of your condition and how we can best help you. Keep reading to learn more about our modern hearing evaluations in Twin Falls, ID. Otoscopy – An examination of the outer ear, or “external auditory canal,” using an otoscope. This allows our team to see what’s actually happening inside the ear canal and to check if there is a buildup of cerumen (ear wax), skin cells, or other issues that are impacting your hearing. Tympanometry – An examination of the middle ear using variations of air pressure in the ear canal. This test measures how energy is being transmitted through the middle ear and allows our team to distinguish your specific type of hearing loss. Pure Tone Test & Speech Audiometry – Pure tone testing employs tones played via headphones and bone conduction to test whether or not hearing loss is present. The volume of the tones is gradually reduced until they become barely audible and are then recorded into an audiogram. For speech audiometry, words are played and the patient repeats them back to the audiologist, who records how many words were repeated correctly. If deemed necessary, this testing will extend to more specialized tests to ascertain possible medical conditions that need the treatment of a medical physician such as an ENT. Also, we are able to bill most insurance companies for hearing test-related charges, so please be sure to bring a referral from your physician when you come in for your evaluation. Find Out More About Hearing Evaluations in Twin Falls, ID, Today! To learn more about our top-rated modern hearing evaluations, tests, or treatments, give our friendly office a call at 208.312.0957 today! If you wish to schedule your complimentary Mt. Harrison Audiology Communication Consultation, then please CLICK HERE to use our convenient online form. Your consultation includes a review of your medical history, an in-depth discussion about your hearing loss concerns and goals, and an explanation of our process. 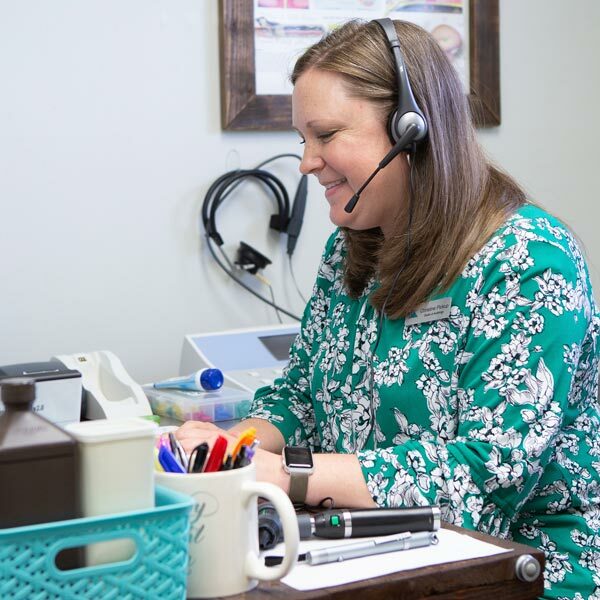 We will take the time to answer all your questions and make sure you’re completely comfortable before beginning our evaluation to further examine your hearing loss and recommend a personalized treatment plan. Schedule your appointment today – we can’t wait to meet you!